You are currently browsing the category archive for the ‘The Drumset and The Kingdom’ category. Are you registered yet? It’s two weeks from today! Seriously… I’m so pumped I can hardly stand it. Listen to the podcast in my previous post for a sampling of what the day will be like. Our clinician roster is unbelievable and our plans for the event are coming together so well. We have group rate discounts as well as all meals included in the registration cost… get over to risendrums.com to get signed up. See you there! Wow… I am so stoked for The Drumset and the Kingdom this year. We are neck-deep in promo stuff… getting the webpage all set up, discussing topics and themes for all the speakers, getting an updated promo video together, etc. Registration is now open, and keep checking risendrums.com for updates on everything. In the meantime I want to share a little about where the event came from and why we’re doing it. A few years back I did a clinic at my church – kinda out of the blue – on a Saturday morning. It was two hours of me talking and playing and doing Q&A about my experiences during 20 years of playing drums in church. About 50 dudes came and the morning felt like a big success. I did it again the following year and around 70 people came. In 2012 I had the idea to expand the day and include some voices besides my own, and Keith Anderson at Risen Drums caught the vision and offered to sponsor the event. 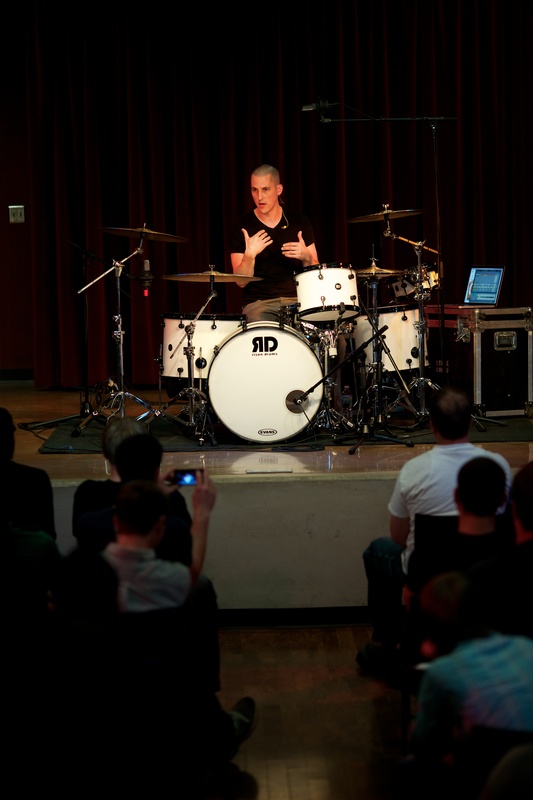 More than 250 drummers and worship leaders from across the country came to Bethel University for a full day of really wise and experienced drummers giving master classes on what it means to love Jesus and play drums at the same time. The Drumset and the Kingdom was born. Then, in 2013, both myself and Risen Drums were too busy to host another event. Dang. But now it’s 2014 and we are more excited than ever to gather as many drummers as we can and try to better ourselves in the role of playing drums in our churches. 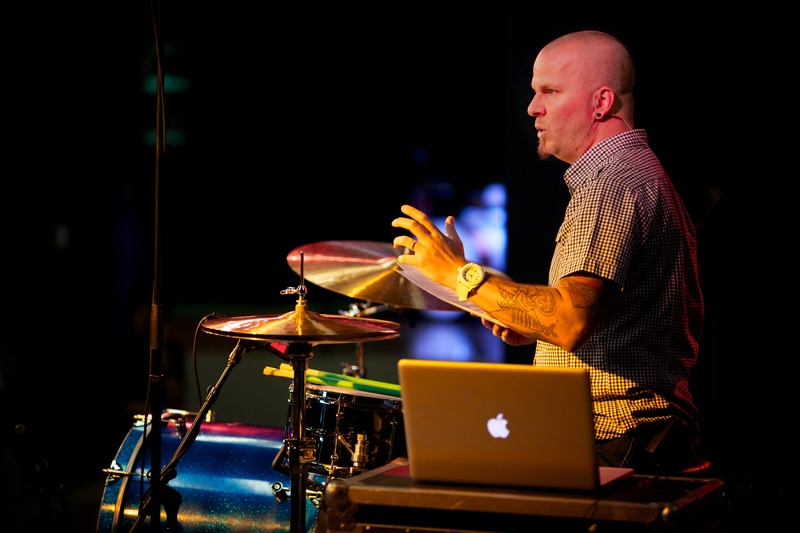 I’m convinced that the drumset is a powerful tool – one that can contribute to corporate worship in incredible ways. I want to grow in my knowledge of how to use this instrument and I want to grow in my knowledge of God’s Word and his creation of music. I selected this year’s 5 guest speakers not only for their incredible and inspiring musicianship but also because of their love for Jesus and commitment to the Gospel. I can’t wait to learn from them! 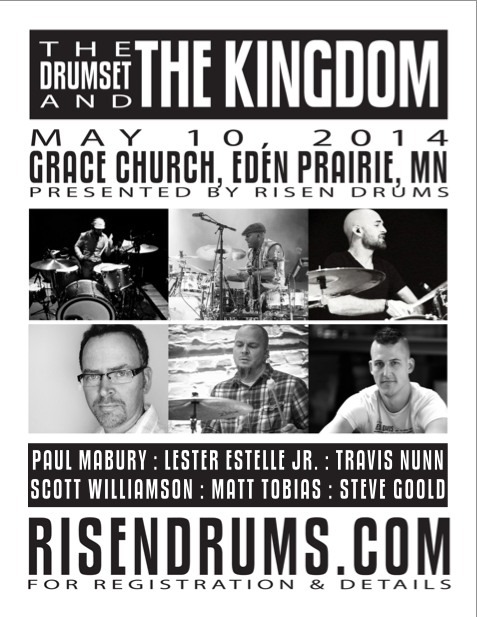 TDATK2014 will take place on May 10 at Grace Church in Eden Prairie, MN and will run from 10am until around 8pm. Each of the speakers will give a full session of their own and I’ll also facilitate a panel discussion with them for Q&A. We also added an exclusive first-come-registration open house at the new Risen Drums shop in Minneapolis for the night prior to the full on event… May 9. That night be mainly just a hang and an opportunity to see the new RD shop, which is awesome. I’ll also give a session on some material that I won’t be addressing on Saturday’s main event. 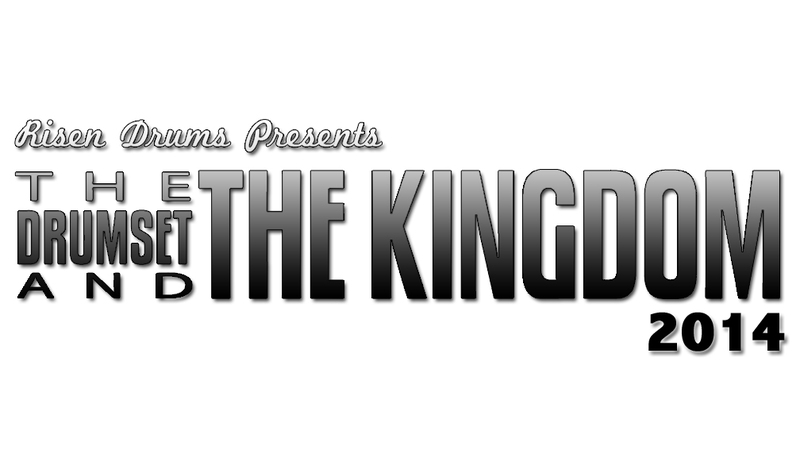 I’m really pumped about what TDATK has become and where it can still go. Please join us! 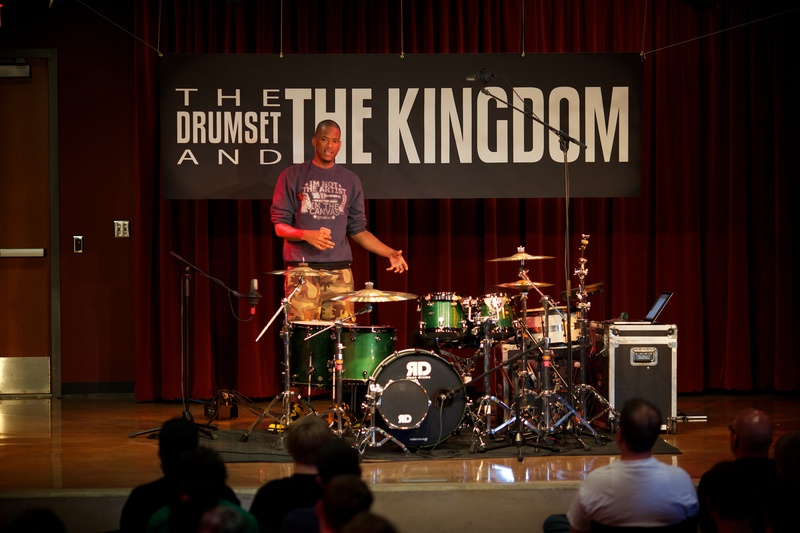 I gave two small presentations at this past May’s The Drumset and the Kingdom event: an opening for the day (posted a few months ago) and a closing. 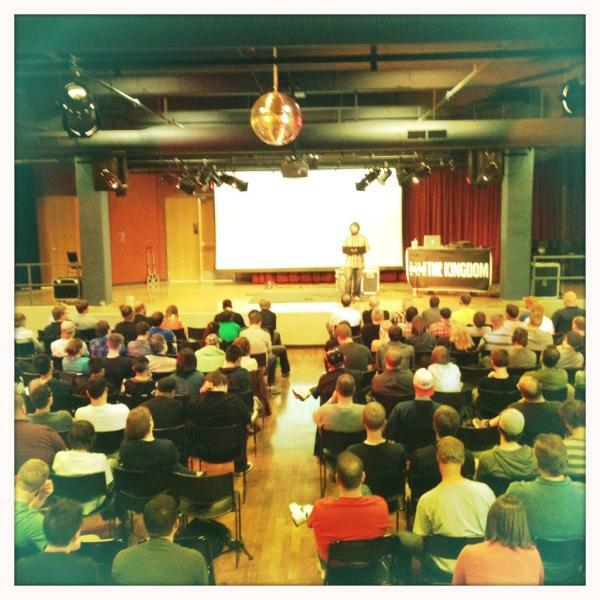 I just posted the closing session as a youtube video (audio only). I wish we had done some video stuff but the day crept up on us without ever getting those details nailed down. Also, I wish we had more carefully soundchecked the audio recording, because the above video is quite shortened from the actual presentation. The recording levels weren’t set for drum volumes and the clipping during my actual playing is unbearable. So the above-linked video picks up right after I performed a short intro track, and then I edited out most of the 2nd track I performed as well. Also left out is the Q&A time, which is hard to follow along with since the questioner’s voice is inaudible on the recording. So… yeah. We could have done the recording thing a little better. Next time. Regardless, I hope what is here is valuable to you. Ok… I’ve finally had a chance to sit down and go through some of the photos from last month’s Drumset and the Kingdom event. What a blast that day was! Holy cow. I’m super thankful for and humbled by how many people came out. Below are a few photos, and you can listen to the opening session introduction from me and Keith here (only 11 min). More audio to come. Me looking less studious than usual because I’m not wearing my emergent church pastor glasses.